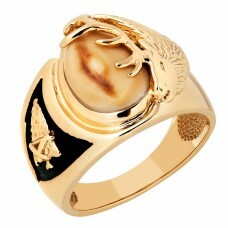 Men's Solid Gold Ring with Genuine Elk Ivory with Elk and Arrowhead. You may use your own Elk Ivory, please call for more info. May take up to 4 weeks to make when you provide the Ivory.